Brand new Ripening Room Controller (F-901R), developed to improve ripening consistency and fruit quality, has now entered the market. This was announced by Felix Instruments–Applied Food Science, a subsidiary of CID Bio-Science Inc.
F-901R Ripening Room Controller was designed to allow ripening room managers to monitor and control the levels of CO2, O2, and C2H4 (Ethylene) as well as temperature and relative humidity. With the ability to easily measure and control ripening gases, the F-901R is revolutionizing the postharvest industry by improving consistency and removing ripening room guesswork. F-901R can be configured to control most common industrial devices including C2H4 generators, heaters, humidifiers, scrubbers, and tank valves. Further, it can be accessed remotely via network, has robust alert system (via text, email, and audio) and can be calibrated annually, on-site in just minutes. This revolutionary device is not yet available on the website, but can be pre-ordered. 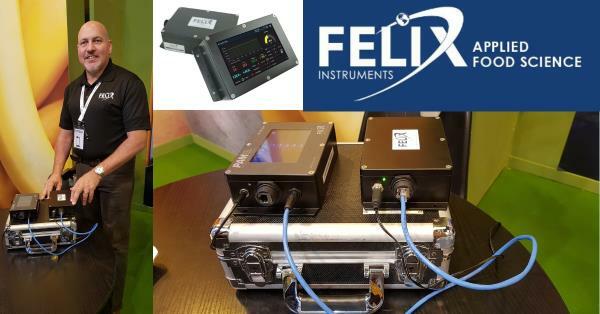 Felix Instruments – Applied Food Science was founded in 2012 as a subsidiary of CID Bio-Science, Inc., which has been designing instruments for agricultural and environmental research for over 25 years. Focusing on pre- and postharvest applications, Felix Instruments helps fresh market professionals maximize the value of their products with portable Gas Analyzers and NIR Produce Quality Meters.